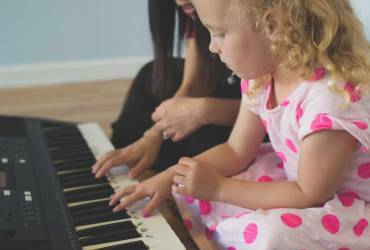 Our Kiddy Keys programme provides a wonderful small group music experience for little children which will place them in a strong position to fully enjoy music as they move into school or private music lessons. It is packed with all the activities they will experience in a school environment but with the focus firmly on music. The materials are engaging with a mixture of games, songs, rhymes, stories and time at the keyboard. They have so much fun with a great set of characters including Music the Dog that the learning takes place in a very relaxed environment. 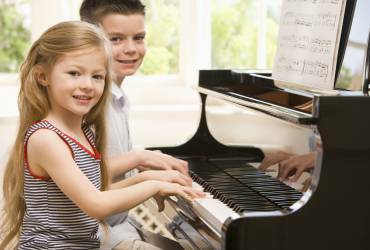 Individual lessons are available for school children providing a rounded introduction to music lessons at the piano. Students enjoy a nurturing and stimulating environment, which includes group activities and regular recitals. They are motivated to discover their own potential and find real pleasure and satisfaction in achieving their own personal goals. 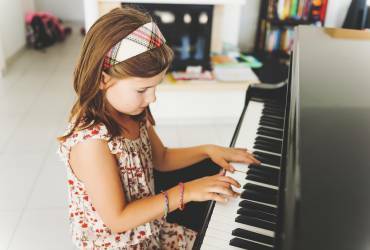 I offer a mixture of theory based note reading activities and pattern based learning so students can quickly begin to create music at home on their own. Underpinning everything is getting them to feel the beat in their feet! Lots of singing and movement helps develop their sense of rhythm so their music sounds great. 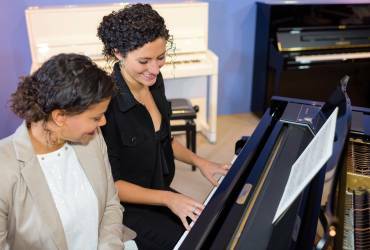 I love teaching adults and am very sensitive about helping them put together a lesson schedule which will address their personal goals and preferences for taking piano lessons. My own experience as a recent mature student gives me a great empathy with those brave enough to try something new! It’s all about having the right levels of motivation to take on a new challenge and then finding the time to put in the required practice. My job is to get a real understanding of how this dream fits into each adult’s life and then put together a suitably inspiring program of music so that they simply have to sit down and play! Group activities, regular recitals and outings to other teacher forums for performance practice are all vitally important to our studio. These ensure that the piano experience is not an isolated interest. Students enjoy the regular get togethers, watching each other perform and learning together. It builds community spirit and camaraderie amongst students and most importantly helps keep them engaged with their learning. All these activities are one of the many reasons why so many of my students come back year after year and are delighted with their own individual progress.